This comic, more specifically this writer, is a favorite and a staple in the Korean webtoon industry. Masatoki has quite a number of titles published and ongoing under his name, and is one of the rarely gifted individuals who can both write and draw webtoons. What is truly fascinating about Masatoki’s stories is in the intricate building and executing of logic, often within just the character lines. The narration is also heavily used to deliver necessary information. While the sheer volume of text within the comic might be supercalifragilisticexpialidocious to some, but from the popularity this author enjoys, it obvious got through to the Korean webtoon readers – and we hope the magic works in the NA market as well 😉 Another factor that pulls in the readers is that the universes of separate titles often overlap (the concept of being the “Greatest in the world” from Masatoki’s will be revisited in his other titles, such as ) and works with each other to enlarge the fictional reach of imagination. But enough with Masatoki. Let’s talk about how fantastic Kirty’s artwork is! Asian (namely Japanese) style of drawing characters, typically with large eyes and weird hair colors, has been in the past criticised as ‘unrealistic’. But let’s face it – why pretend to be ‘realistic’ when you don’t have to be? Especially when you’re drawing comics! But here the ‘unrealistic’ hair color of Raeum, the male protagonist, is actually a functioning trope befitting his character. It’s symbolic of his alienation caused by his blessing and curse. 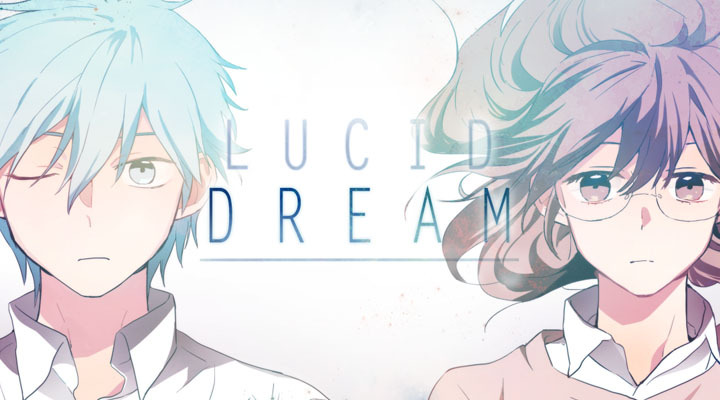 In the hope of avoiding spoilers, we won’t mention exactly why it’s a curse, but Raeum’s lucid dream and his subsequent superhuman ability to bring back objects from his dreamscape is beautifully realised through Kirty’s incredible use of full spectrum of colors and softly drawn lines. We’d also like to draw your attention (pun not really intended!) to the transitions that primarily depends on black and blue. When Raeum falls asleep, he ‘blacks out’ and the background surrounding the panels go black. But in his dreams, the background surrounding the panels range from dark royal blue to deep, rich navy. Also, his waking hours lack background panel colors that pop, while his dreamland is filled with myraid of hues in unfamiliar combinations and they’re spilled across the entire world. The art perfectly captures the whimsical, eerie atmosphere of the subject and the comic. You know what? Enough with the chit-chat. Go read for yourself now and tell us what you thought!